When Milwaukee County Executive Chris Abele backed off Tuesday (Feb. 13) from putting parking meters in the parks to raise revenue, he said he was just bowing to the public’s resistance. He didn’t say he was bowing to the hundreds who spoke against such fees at a Domes public hearing forced upon him by the County Board. If the board hadn’t insisted, meters would have gone through without public input. Nor did he cite the complaints and resolutions peppering him from those supervisors who each represent about 55,000 persons. Nor did he mention how the day before at a meeting of the ICC (Intergovernmental Cooperation Council) he was hammered by the influential leaders of the 19 municipalities who all have parks in their backyards. 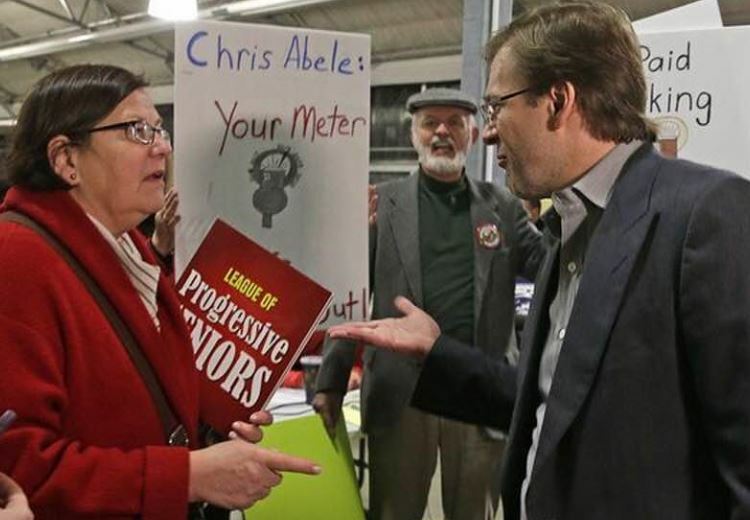 It remains an open question which factors really led Abele to abandon an idea no one liked. He has often stuck to his guns regardless of public opinion. And here comes another bill he’s pushing in Madison mainly designed to increase his powers and stick it to the county board. Under that bill (Senate 777 and Assembly 923) he could do everything he just said he wouldn’t. 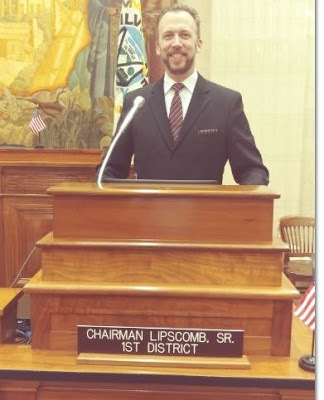 Many in the public are fooled into thinking this is a personality dispute – supervisors led by board chair Theo Lipscomb to oppose imperious Abele rather than serve their own constituents. It’s a simple-minded view that the media -- newspaper and many radio and TV stations (except for a few good interviews) -- have also adopted. It’s always easier to sell news or minimize the controversy if you make it about people not liking each other rather than real issues. “It’s all the newspaper,” said Supervisor Jason Haas, first elected in 2011. “There is no meat to those bones. Whoever is in the board chair will have conflicts with this county exec (as Marina Dimitrijevic did before Theodore Lipscomb). It’s a policy dispute. We (the board) demanded a plan for parking revenue and insisted on a public hearing.” That, he believes, was not mentioned in stories about the Abele withdrawal. It’s an Abele power play and violates “my ideal of both sides working together,” Wasserman said. Working together is clearly mandated in the largest city in Wisconsin with a $1.5 billion budget (now reduced in negotiations) that requires county board input under federal and state law. This 18-headed Hydra with some districts of frequent turnover has actually pulled together on key issues over the last decade – and likely will again after the April election. Many supervisors are resentful at the media treating this as a personality disorder on their end. Abele is an odd duck on many fronts. He has used his father’s wealth (Boston Scientific and Argosy Foundation) and his own for many philanthropic or progressive causes to support national women’s rights and local LBGTQ efforts, individual national candidates and so forth. But he also spends money that swamps local competitors and puts his own candidates in the field. He produces aggressive flyers and TV-radio campaigns against the county board. His methods have angered many politicians who previously got his support. That money and his willingness to use it leads to the general feeling that “he doesn’t play well with others,” as one former supervisor put it. Abele not only has the money to do it, he has the methods. 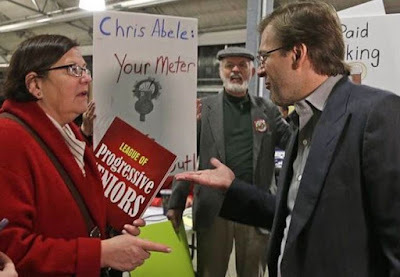 Sometimes he seems to deliberately beat the board to the punch on reversals of his own policy – not just the parking thing but when Lipscomb was unveiling a board plan to save bus routes, Abele slipped in ahead of him to take the savior position. The parking-in-parks issue strikes many as that sort of backhanded back-down – now suggesting using the contingency fund instead, an idea stolen from a Weishan proposal. And that bill allows him a wheel tax of whatever size despite the public voting 72% against the $60 he was seeking. It also allows him any fiscal debt he wants to acquire, amend or impose without public input. Many see the bill as the coronation of King Abele and were unhappy when they heard that other county executives also wanted it. Not Wasserman. “County execs want to be buddies with each other,” he chuckled. Wasserman noted the bill expands their power to match Abele’s, though some in the press believe it brings him up to them, so cleverly was this sold. Non-lawyers may not realize all the wrinkles Abele is seeking in a bill introduced by GOP lawmakers and two Democrats now being regarded as turncoats, Sen. Lena Taylor and Rep. Jason Fields. It has a powerful lobbying component pretending to be County Leaders for Modernization whose announced members tilt to firms long associated with the Republicans. It would take away from the board approving contracts and leases; setting compensation rates including retirement; reviewing an interim appointment and much more. Abele may also have stepped over his skies in TV interviews saying all the state’s other 10 county executives are behind the bill. No, they are behind its idea of a two-year budget cycle that creates efficiencies in management, and so are members of the Milwaukee board I interviewed. There are expanded powers for them as a sweetener in the bill but there’s an entire section that clearly applies just to Abele and not to them – presented to a legislature notorious for wrapping around Milwaukee like a python. One of the more notable county execs with a statewide reputation as a solid Democrat, Tom Nelson of Outagamie County, is a strong supporter of Abele’s idea but even he suggests his county is in a different situation. For instance, asked if he would ever seek a wheel tax, he said no. 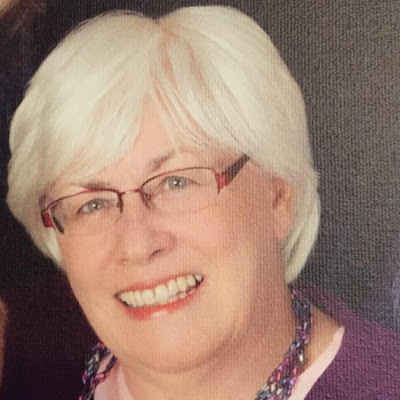 Portage County Executive Patty Dreier also called the language and details “toxic.” Such execs also have close relationships to their citizen board of legislators who generally represent fewer citizens and less demographic complexity than in Milwaukee. Nelson points out that his board only took 15 minutes to approve his budget. Many execs also quietly say they have more experience in the give-and-take of democracy than Abele does. It was state legislation (Act 14 morphing into Act 55) a few years ago that first gave Abele more power after running to Madison. Those bills shut county board members out of land deals (the Bucks arena and environs) and department leadership choices while also reducing them to part-time hours and pay though many continue to work full time. Because of those reductions, this April all the board seats are again up for vote, though only a few are contested. Only one requires a Feb. 20 primary. That’s the Oak Creek 8th District where incumbent David Sartori is being challenged by Abele-backed James Davies and Working Families Party-backed Scott Shea. 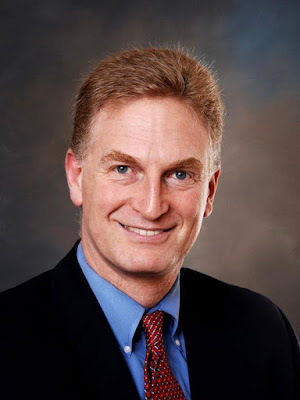 Two years is the average board service length around the state, but note that the Outagamie board only meets twice a month and Nelson says it is fully involved – attending “all executive budget meetings,” while in Milwaukee Abele is known for secrecy. Doubts about the bill have spread. Dane County is actually registered in opposition; its budget is only a third the size of Milwaukee’s. The new bill, Schmitt points out, overrides fiscal controls even past the point of independent judicial review. Under Act 55 Abele already had wrested control of non-parkland, which allowed him to unilaterally make the deal for the new Bucks arena and 10 acres around it. But he also forced county taxpayers to absorb a hefty chunk. At the same time as President Obama was advising no public money should go to private sports palaces, Walker and the GOP agreed to spend $250 million in taxpayer money -- and $80 million of that over 20 years from county taxpayers under the Abele concession. Obama is proving right about how the taxpayers are underwriting enormous private profits – the Bucks are now worth over $1 billion - but credit the Bucks with realizing how that looks and agreeing to a $12.50 minimum wage growing to $15 and unionized local jobs. Does that lessen the sting of $80 million? Or will the Arena join Foxconn as a bitter pill for the county taxpayer to swallow? Not all the land going through the parks has been officially zoned as parkland, and Abele has talked openly about a goal of self-sustaining park revenue by 2024. As long as that was beer gardens or golf putting greens, no one objected. But giving him the power to go further is worrisome and certainly weakens local control over both parks and other land use, his many critics point out. The timing of Abele’s new Madison power grab to the April election also struck many as no accident. Because simultaneously a new organization funded by Abele and supporting several candidates while opposing board incumbents has emerged – LeadershipMKE. It is targeting several races with flyers and ads – including Lipscomb in District 1, attacks on Peggy West in District 12 and defense of incumbent Deanna Alexander (Abele’s staunchest ally on the board) against an outspoken progressive opponent, Sparkle Ashley, in District 18. LeadershipMKE is openly backing Jim Davies with multiple flyer dumps in that Oak Creek district, trying to muddy the progressive message of candidate Steven Shea ahead of Feb. 20. Yet Lipscomb’s opponent in District 1 Glendale area, Casey Shorts, insists he was not recruited by Abele nor has he taken money from him. Similarly, Sylvia Ortez Velez, opposing Peggy West in traditionally low turnout District 12, ran for the seat before and also insists she is not Abele’s candidate – “in fact, I oppose his privatization push,” she said. And so does Shorts. But flyers savaging the incumbents from the Abele group are landing on the doors in these two districts and other advertising is planned. All Velez and Shorts say they can do is shrug and ignore. Shouldn’t something be said about disowning? 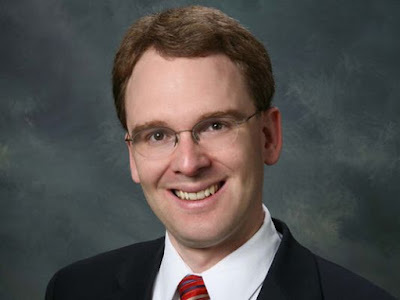 Shorts boasts endorsements from the Milwaukee Area Labor Council and Citizen Action, neither close to Abele and also past supporters of Lipscomb, who admits to being confused by their choice. Pam Fendt, who now leads the labor council, says “we were simply blown away by Shorts’ strong labor presentation” – Shorts is a lawyer and workers comp specialist at Previant. Citizen Action also cites a strong interview. His opposition to privatization was another key factor, though Lispcomb is equally opposed and has worked in the past for union compensation. 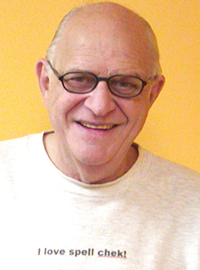 Shorts, a Glendale resident, clearly buys the newspaper attitude about the dispute. He believes that the Abele-Lipscomb friction is a factor he can correct. If it weren’t so “deep rooted,” if there were 97% agreement, he speculates, why anytime you open JS wouldn’t that be more widely known? To him it seems personal between them. The irony is that in a different place and time, you could see Shorts and Lipscomb talking policy over beers. Is he a decent candidate in the wrong environment, I asked Shorts. The media also hasn’t noticed how the American fetish for automobiles keeps moving Abele closer to Walker. It may be a mutual blind spot about raising money. The governor, after years of opposition, is now dreaming about a piece of Trump’s infrastructure fancies. So suddenly he is open to two things once taboo: Creating toll roads to raise money and raising the gasoline tax. Abele, rather than intelligent belt tightening or deeper innovation, fixates on wheel tax and parking fees.